Our Laticrete Technical Service Team has taken a close look at the Tuscan Leveling System. 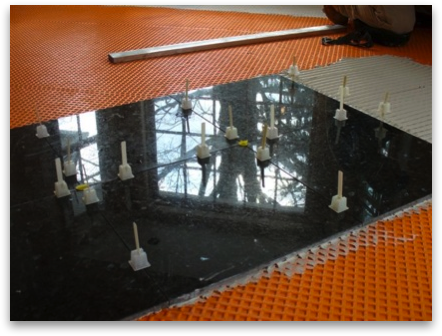 We are pleased to recommend the Tuscan Leveling System to reduce or eliminate lippage and provide “smooth, plumb & true” Installations of Large Module Tile & Stone. 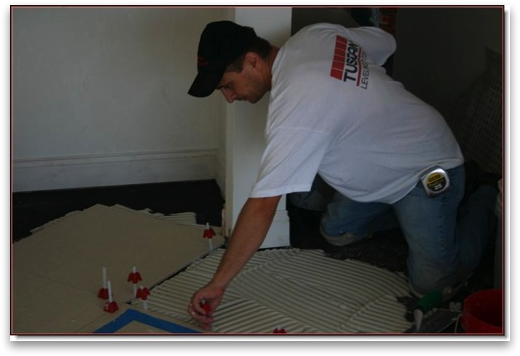 “Want to install tile fast that’s plumb & true with no lippage ….? Think Tuscan Leveling System. Fast, productive & profitable to use." MAPEI is pleased to offer the following products to be used with the Tuscan Leveling System to help create a lippage free tile installation system. Each MAPEI product has been thoroughly tested and approved by MAPEI Technical Services and will help ensure a problem free installation for large format Tile and Stone. 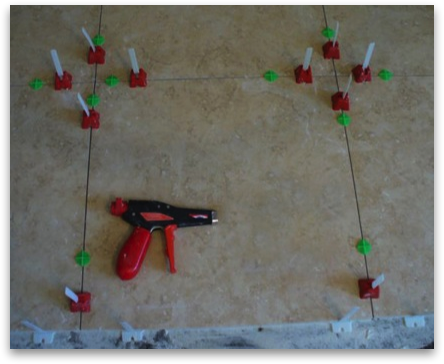 Ultracontact or Ultracontact RS (rapid set) - does not require additional “back-buttering” of Tile or Stone. MAPEI products installed using the Tuscan Leveling system qualifies for the MAPEI “Best Backed” Warranty Program. Please visit our website at www.mapei.us or contact MAPEI Technical Services for additional product or warranty information. 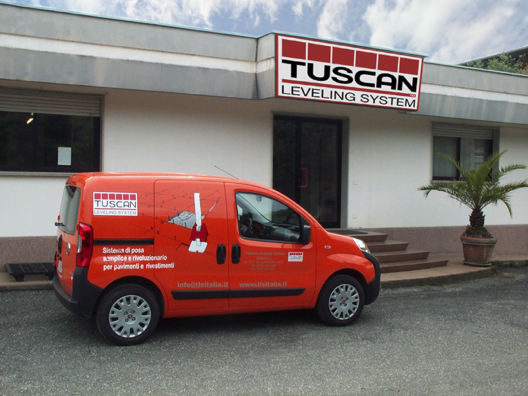 Contact - Tuscan Leveling System, 100 West Burlington Ave., Fairfield, Iowa 52556, USA Phone: 1-312-212-3505 info@tuscanleveling.com. 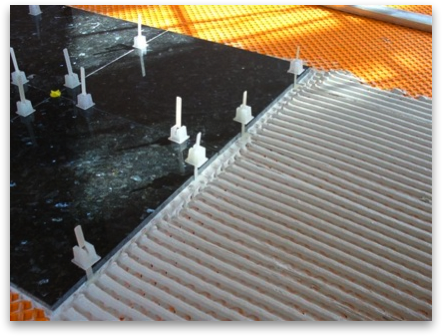 Custom Building Products® is pleased to recommend our systems of products with the use of the Tuscan Lippage-Free Leveling System for the installation of large tile & stone formats. 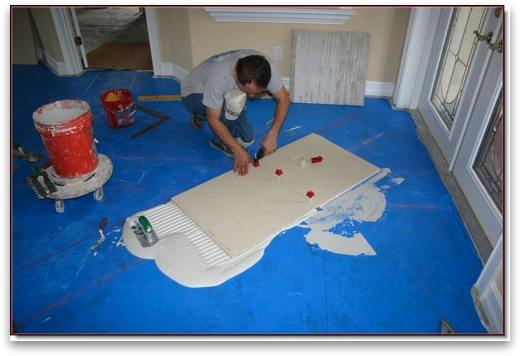 Custom Building Products are fully warranted when used with the Tuscan Leveling System. For installation instructions for the system, follow guidelines listed at the following website address http://www.tuscanleveling.com/Install_Guides/Install_Guides.html and recognized industry methods. For additional information regarding the use of Custom Building Products, please visit our website at www.custombuildingproducts.com or contact Technical Services at 800-282-8786. 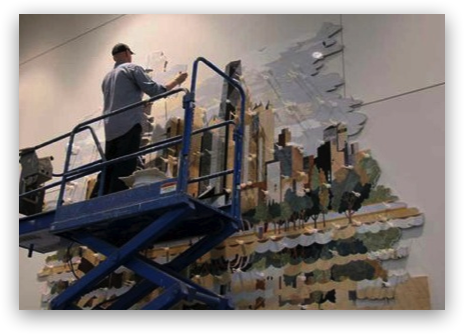 Trend USA has always been a supporter of new ideas and systems that can make your installation faster and better. 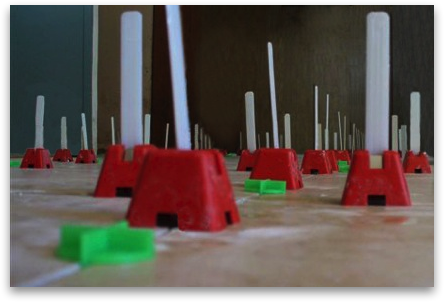 The Tuscan Leveling System, www.tuscanleveling.com, is one of those innovations. 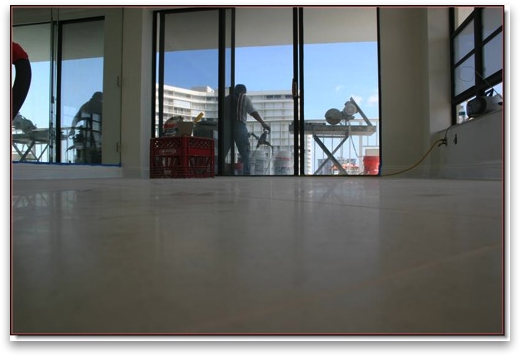 It allows for a perfect installation of large format tiles without lippage and in considerable less time compared to a regular installation. We have been amazed by the effectiveness and efficiency of this system and we have recommended it for all the installation of our tiles. 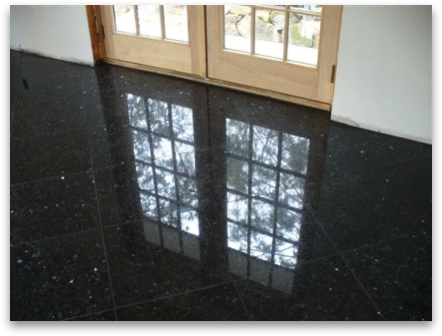 “As a flooring contractor for over thirty years, I have seen all kinds of new tools and devices coming down the pike trying to improve the quality and ease of the installations in this business. Few new innovations ever impressed me as much as the Tuscan Leveling System. 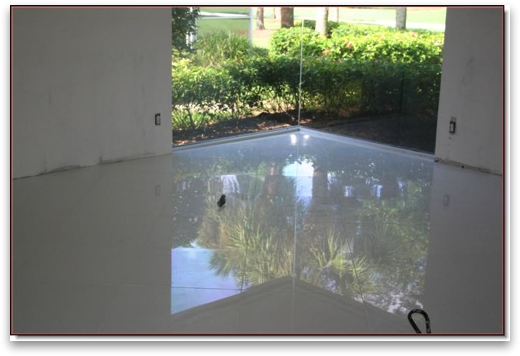 This remarkable system will revolutionize the installation of marble, granite, porcelain - especially in large format installations were the installation is more difficult then a standard 12x12 tile. By using the Tuscan Leveling System we have almost eliminated callbacks. Pictures courtesy Creative Edge Corporation. 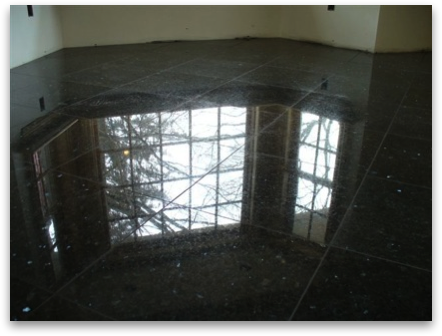 "Here is another job we did on the east coast with fantastic results!" Picture courtesy Creative Edge Corporation. "This was the first time this installer had ever used your levelers. He and the Hotel owner were very impressed. The Hotel owner was worried that using tile, with this complicated of a design, there might be an issue with lippage. These were in front of the elevators and he had concerns that the rollers on the luggage would make to much noise rolling across the tile. We had assured both of them that they had nothing to worry about. It was as smooth as glass. Thanks for making us look good. I recommend your product to be use on all our work." “It works great, it actually does exactly as advertised”. 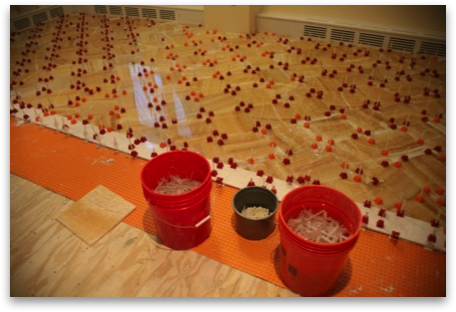 Using Schluter Systems Ditra mats with the Tuscan Leveling System. "My partner builds commercially for shopping centers and he is converted! We will be using this system in our large format commercial jobs and will never do a floor again without this ingenious strap and cap system." 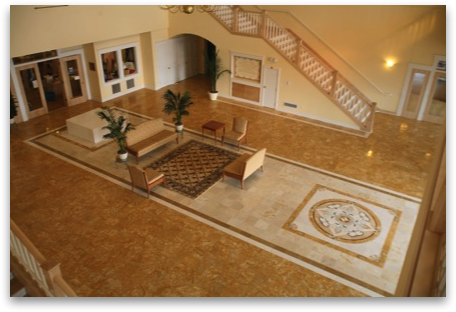 "We recently completed a 1.4 Million Dollar renovation and had just two weeks to install approximately 3,00O square feet of engineered large format tile. We are modern design builders, often doing renovations to be showcased or broadcast on HGTV. 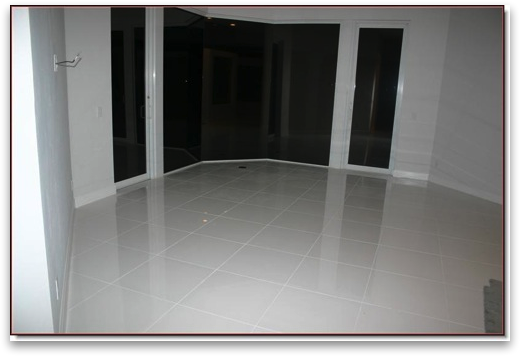 This design used a sustainable high fired ceramic tile from FLOOR GRES ITALIA and there was no room for mistakes. 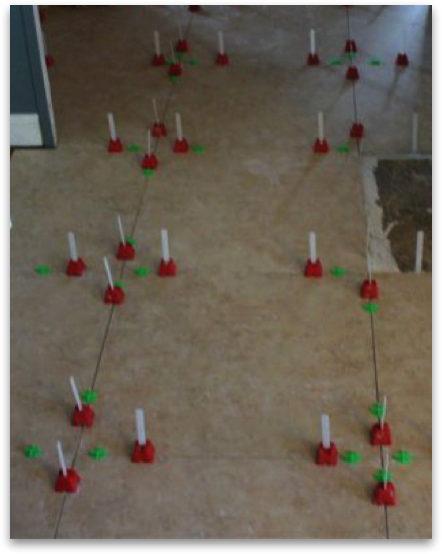 Our grout lines had to be 1/32 of an inch, and our floor base was not perfect. 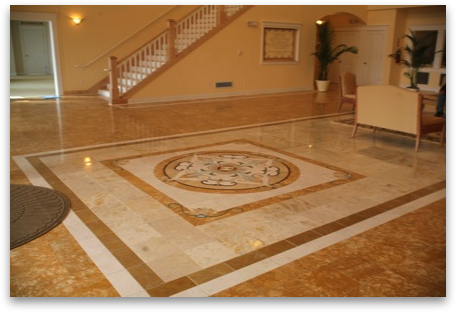 Michele Volponi directed his team including some of our tile installers who had NEVER used the TUSCAN LEVELING SYSTEM- the results were astonishing, as was the speed of the install. Our floors are perfect- with ABSOLUTELY NO LIPPAGE. 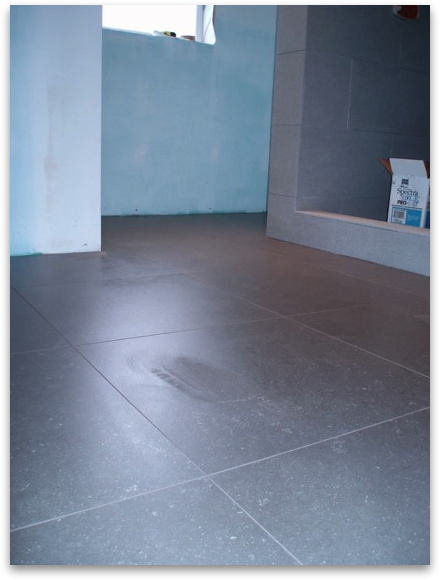 The tight grout lines and the flat even install gives the massive one slab look modern Italian look I was trying to achieve. The TUSCAN system was also used vertically on a large 10ft by 15 ft wall incorporating a fireplace, the result and the time frame again was not to be believed, two weeks and three days we had the entire job including FOUR bathrooms FINISHED. Well worth the small additional cost per square foot which we included in our install estimate. Congratulations on inventing and implementing this system and for introducing us to it and you and your team." Flavia von Vogrig & Robert Gassel. 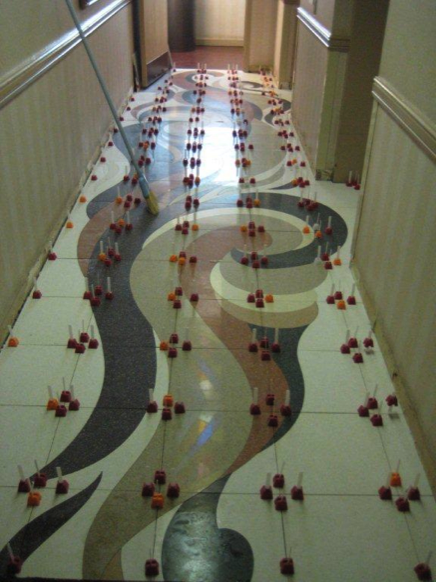 "Just thought you would like to see the finished job at the student union lobby. There is no way this could have been done on time without using the Tuscan Leveling System. Thanks again!" "These installations are flat as a desk top..."
"The Territory Manager for Pearl Abrasives is an old friend that I have not seen in a long time, so I picked up the phone and he was in my office that afternoon. 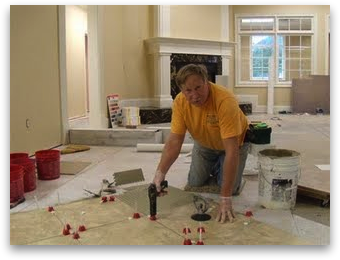 Within a week, the inventor of the Tuscan Leveling System was training our installers. The Tuscan Leveling System was beginning to make my dream come true. Step two solved! 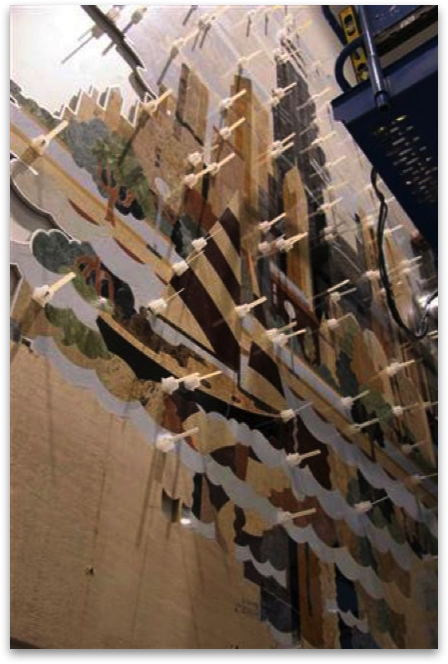 Installation materials have always been kind of a "me too" industry with one standing out at the cutting edge of technology. I opened a dialog with another old friend who happens to be a V.P. at Laticrete International. Laticrete has always been a leader in their industry. 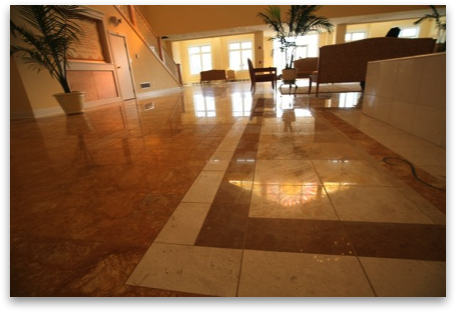 We not only landed on installation products that will work, Laticrete has stepped up to the plate and offered their 100% labor and materials warranty on installations using the Tuscan Leveling System and Laticrete products. Steps three and four solved! We now had four legs under the horse and it was time to see how he could run. 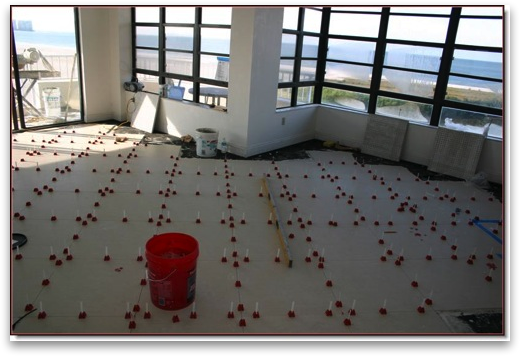 Park Shore Kitchens & Interiors Floor Covering Division has now completed thousands of square feet of large unit porcelain tile installations using the Tuscan Leveling System system, thinset bed, with 1/32" grout joint. These installations are flat as a desk top and all of the "Achilles heels" have been corrected. We now have the system! Our real test is getting the word out. There is a whole lot of incorrect information circulating out there and there are always the old-schoolers that will never "get it". The really good news is that through the internet, in the John Bridge Forum, on what is called "professionals hang-out" I am finding overwhelming support from across the country. There is now a large movement toward this new technology and it is getting larger by the day. Refreshing and exciting! "Someday the tile & stone industry will recognize the pioneering work that you have done and that you continue to do to improve the quality of the installation of large module tile and stone." “You got the bull by the horns on this one!!!" The Tuscan Leveling System is a great tool to have, by far the most user friendly, simple tool I have used in a very long time. It makes up for that slight variation in either the floor or the product that has always been the last sticking point in the final setting process for me. Reduced the taking up & adding or subtracting thinset by at least 80-90%.” Thanks Again! Louis Fowler Fowler Tile & Stone. 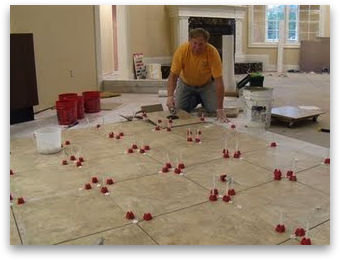 "The Tuscan Leveling System is ideal for my large format tile jobs." 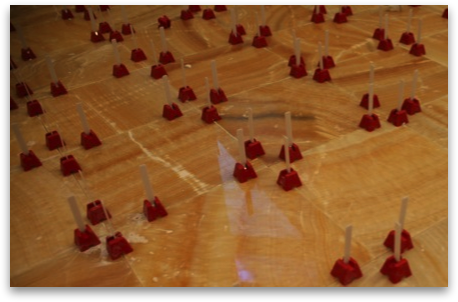 "Using the Tuscan Leveling System, it took my helper and I, two and one half days plus a few hours to complete the floor. Normally it would have taken us about four full days to set the stone without TLS. When laying the floor, it went really quickly...all I can say is SWEET!!" 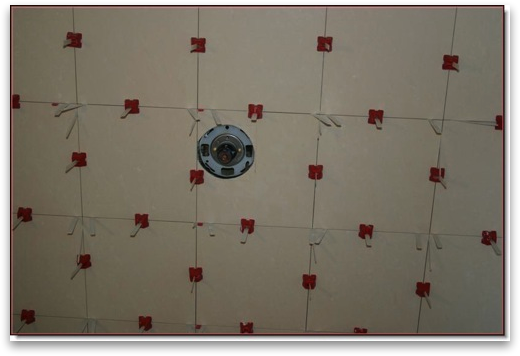 "For the shower walls and wainscot I also used TLS. It went fairly quickly and I was amazed when doing the walls, the tile kept flat and plumb. The wall tiles were on point. It went well as the TLS kept the tiles in place when doing on point. Without using Tuscan Leveling System you would be fighting it as you go along." 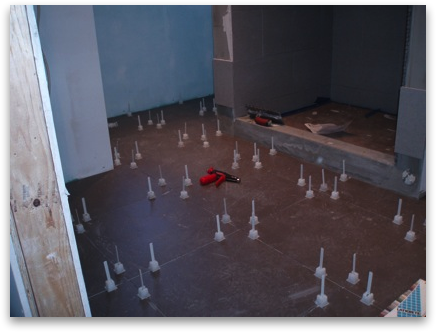 "The Tuscan Leveling System saved me up to 50% of the installation time with more money in my pocket in a short time...when my customers want stone tiles for the big jobs, I will be ready." “…the Tuscan Leveling System pulls the tiles into the thinset, not out." 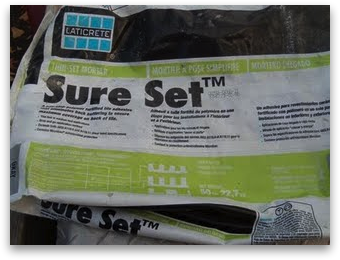 Using Laticrete Sure Set Medium Bed Mortar for a fast, productive installation. "Large unit porcelains with TLS and Laticrete sparked a great deal of interest..."
I spent the week-end working a local Home & Garden show. 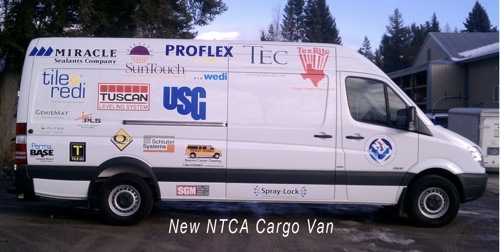 The showing of large unit porcelains with TLS and Laticrete sparked a great deal of interest. While there, I was asked to be an 'expert' on the panel for two of Jim Parks seminars. 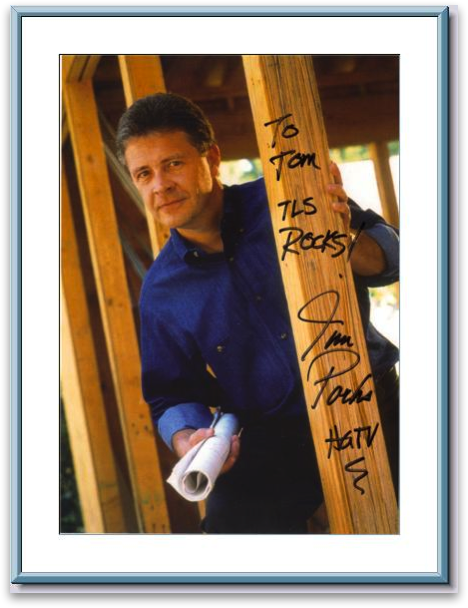 Jim is the host of HGTV’s New Spaces show. The more we talked, the more excited about it he became. Here is a photo that I wanted to share with you.